Sun, sea, the beach and waving palm trees, that’s when I’m the happiest! During winter time I sometimes struggle choosing between the snow or sun. I love to ski but chilling on a white beach somewhere, watching the blue sea… nothing compares to that! Kev and I have visited quite a few islands in the past but since we’ve had kids we tend to look at our tropical destinations slightly different. Therefore I’ve made a top 10 for anybody that wants to spend some Tropical island time in the sun: tropical islands for a family holiday! Top 10 Tropical Islands for a family holiday! Crystal clear blue waters, white sandy beaches and swaying palm trees. Imagine your little one playing at Jan Thiel beach, while you are enjoying a cocktail on your shaded beach bed. Sounds pretty ok, doesn’t it? Curacao has several child friendly beaches and lots more to do for kids. They can explore the underwater world in a submarine, help feeding ostriches, visit the mystic caves of Hato or just enjoy themselves on one of the famous beaches. Curacao is a well-deserved number 1 in our TOP 5 child friendly Tropical Islands. Are you looking for a family friendly hotel at Curacao? Sunscapes is the place to be! They have a lovely pool, playground, kids club and lots of activities for your kids! Hawaii is the 50th state of the States and consists of multiple islands. The largest and most visited islands are: Oahu, Kauai, Maui and Big Island. You can choose to visit one island or to go island hopping. This 7 day Oahu itinerary is perfect for some travel inspiration. For a tropical holiday Hawaii has things to offer kids of all ages. First of all just think of all the lovely beaches, or surf lessons for the kids, watching dolphins or learning part of the impressive past of Hawaii. You can do it all! Are you looking for a child friendly hotel on Hawaii? Then the Grand Wailea Hotel, Resort & Spa is highly recommended! This huge hotel has it all! Here are just a few facilities listed: 9 pools with all kinds of slides, a lazy river and other water fun, an extensive child’s program at the kids club and for your leisure this hotel owns one of the best spas of America and, most noteworthy, a luxurious fitness area. After a 16 hours flight (from Europe) you will embark in beautiful Indonesia. Bali is one of the biggest Indonesian Islands and pretty much the most touristic one as well. Downside is you need to search for authentic Bali experiences, upside is there are really good medicals services. Somehow we always pay at least one visit to the local hospital when travelling abroad with our kids. You can imagine we scan our destination for “medical services” as well before we make our booking. The Indonesian people are utterly friendly for kids. Kids are welcomed with open arms and everyone will do their utmost best to make your babies happy. Check out this ultimate guide for Bali with kids and these things you need to know before you go to Bali! Are you looking for a child friendly hotel in Bali? Aram Sari Hotel Keliki in Ubud, might be the perfect hotel for you! They have a pool with lots of toys for the kids and they offer (paid) activities for children as well. Check out this list with the best islands in Asia for more tropical island travel inspiration. We’ve reached number four on our top 10 list of tropical islands for a family holiday. Do you want pearly white beaches, bright blue seas and waving palm trees? Then you should definitely go to the Bahama’s! And it’s terrific for the kids too! For instance, if your kids are still really young they will love playing in the sand on the beach and in the surf. And if the kids are a bit older you can take them to the Pirate Museum, go horse riding on the beach or pet the pigs on Pig Beach! As a result, everybody gets what they want! Are you looking for a child friendly hotel on the Bahama’s? Book The Cove at Atlantis. This resort is an adventure on its own. You’ll find multiple pools and lots and lots of activities for the kids; from making your own stuffed animal to standing eye to eye with all kinds of fish and sea mammals. Even in our cold, snowy winters, Cape Verde is nice and warm with about 25 degrees Celsius and only a six hour flight away, sounds good right? We will be visiting Sal, one of Cape Verde’s Island in February. This is an excellent choice for us as its only a short flight away, doesn’t have a big time difference with the Netherlands and has a wonderful temperature in winter. For our stay we picked an all-inclusive RIU family resort. We aren’t big all-inclusive fans, last time we visited a resort like this was at least 20 years ago (OMG now I feel really old!!). As we only want to relax, eat and sleep for a week, no cleaning and no cooking sounds very tempting, so that’s why we will try the all-inclusive concept once again. Looking for a family friendly hotel at Cabo Verde? We spend a week in Clubhotel Riu Funana and loved it! There is so much to do for the kids! They even have a separate pool with a little playground. Our kids love the mini club as well. The beaches of the Seychelles belong to some of the most beautiful beaches in the world. The powdered white sand and the bright blue sea make you feel like you are in paradise. And that’s exactly the reason why the Seychelles have earned their spot in our Top 10 of tropical islands for a family holiday. 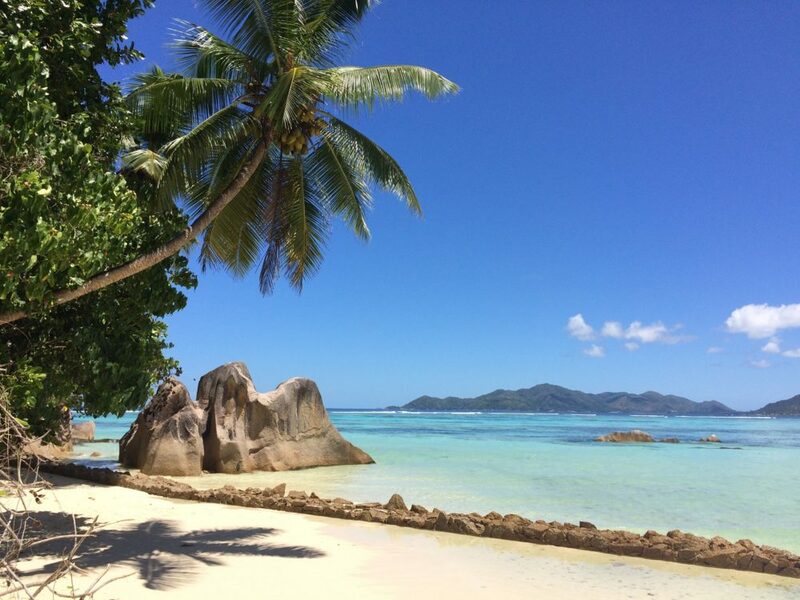 In addition the Seychelles have more to offer you and the kids than sun, sea and beach. You can also go island hopping on a boat, or look for sea turtles or, for the older kids, explore the underwater world with snorkeling. Are you looking for a child friendly hotel on the Seychelles? Then the Four Seasons Resort Seychelles is the place to be. You can participate in all kinds of watersports, there’s a terrific play area for kids, a great activity program in the kids club and, probably most noteworthy, kids are allowed to use the special kids’ treatment in the spa. Koh Samui is a Tropical Island in Thailand, located on the east side of the amazing country, close to Koh Toa and Koh Pahngan. We have visited Koh Samui with the kids in 2015 and spend an amazing holiday there. Thailand is well known for its friendly inhabitants, pristine beaches, warm temperatures, stunning nature, exuberant decorated temples and lovely food. Koh Samui offers everything Thailand has to offer on only 225 square kilometer. We spend two weeks in Peace Resort a family resort in Bophut, the more quiet part of Koh Samui. The hotel is super duper child friendly, they have a kids pool with lots of toys, a playground outside and one inside as well, offer high chairs in their restaurant and baby beds in their rooms. For you this is an amazing accommodation as well with a Spa, massages at the pool and the beach, a gym, yoga lessons at the beach and a restaurant serving lovely food. Koh Samui is absolutely unmissable in our TOP 5 Tropical Islands. A wonderful tropical island with lots of beaches and a beautiful blue sea. In addition to these beaches you’ll find lots to do on Aruba too. The language is Papiamento and Dutch, but English and Spanish is spoken a lot too. Therefore it won’t be a problem to be understood. Aruba has lots of large resorts that are packed with all kinds of kids’ activities and facilities. In conclusion, a fine destination in our tropical islands for a family holiday top 10! 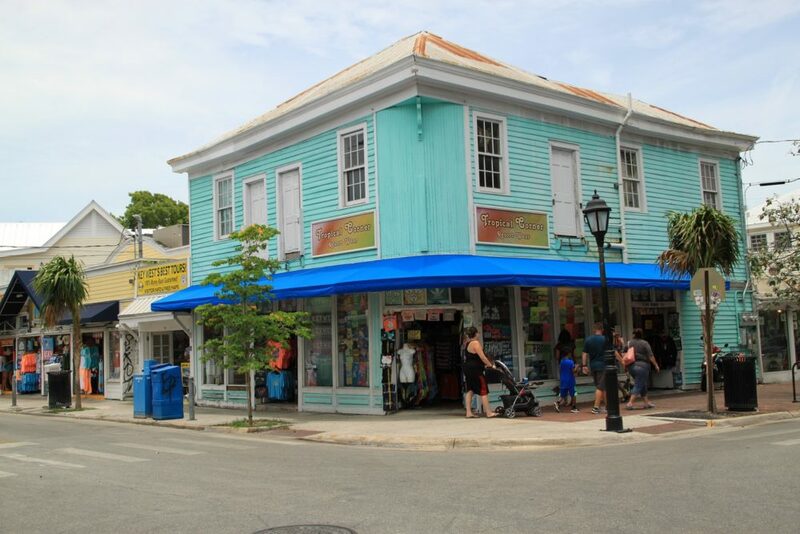 Are you looking for a child friendly hotel on Aruba? The The Mill Resorts & Suites will surely be to your liking. This resort hotel has loads of child friendly facilities such as a large pool, kids club and all kinds of kids’ activities. Furthermore they have a private beach where your kids can build beautiful sand castles and frolic and play in the sea. On the Canary Islands you can enjoy the sun year round. Its never really cold and never really hot, meaning no 40 degrees Celsius in summer and about 20 degrees Celsius in winter. This isn’t necessarily bikini weather, but still a very good temperature to play with the kids on the beach and enjoy a fruity Spanish wine on a terrace. The Canary Island consists of 7 separate islands: Tenerife, Gran Canaria, Lanzarote, Fuerteventura, La Gomera, El Hierro and La Palma. Lanzarote is known to be the most child friendly island. The resorts tend to be more focused on families offering lots of facilities for parents and kids. The beaches are child friendly and there is plenty to do for families: exploring National Park Timanfaya, excursions in a submarine, visit the zoo or a water park. Looking for a family friendly hotel? Princesa Yaiza Suite Hotel Resort might be perfect for you! Lots to do for your kids and (important as well) lots to do for you, Parents travelling with kids give this hotel a 9,5! French Polynesia lies in the Pacific Ocean. It’s an archipelago that consists of 118 islands, of which 67 are inhabited. The most well-known island is Tahiti. French Polynesia is a true tropical paradise; the water is an aquamarine color and the beaches have the finest white sand your feet can sink into. The many, many beaches alone make this an ideal destination for a tropical family holiday. Furthermore the underwater world has a lot to offer. You can go snorkeling for instance and discover amazing kinds of fish. In conclusion, a terrific tropical island, for kids too and therefore a well-deserved end to our list of tropical islands for a family holiday. Are you looking for a child friendly hotel in French Polynesia? Take a look at the Four Seasons Resort Bora Bora. Aside from a lovely beach this hotel has a beautiful pool, special kids’ treatments in the spa, a kids’ and a toe club. Therefore everybody gets what they like! The beautiful Florida Keys with kids, these are the 10 most fun things to do! Sun, sea, the beach and waving palm trees, that’s when I’m the happiest! During winter time I sometimes struggle choosing between the snow or sun.